Key officials of the National Olympic Committee of Sri Lanka (NOCSL) will lose their right to stand for the February 23 NOC election if their appointments in various National Sports Federations (NSFs) are deemed null and void for violating the Sports Law. Maxwell de Silva, NOC Secretary General, was recently elected Assistant Treasurer of the Judo Association while NOC treasurer Gamini Jayasinghe was made Vice-President of the Handball Federation. NOC President Hemasiri Fernando is the President of Triathlon Sri Lanka—a sports body with no governmental registration. Sports Minister Dayasiri Jayasekera on Thursday said these appointments violated Sports Law and the regulations introduced therein. He has, therefore, directed the Director General of Sports to take necessary action. The NOC is largely funded by its parent body–IOC and the tax payers in the country and by law they are required to follow proper accounting procedures. However since 2013, this has not been followed by the NOC. The National Associations of Sports Regulations No. 1 of 2016 makes it mandatory for sports associations to submit a certified copy of the audited financial statements of preceding financial years forty days before the Annual General Meeting. “Submit a notice at least forty days prior to the Annual General Meeting to its affiliates including the list of the members entitled to be present and to vote at the Annual General Meeting, a certified copy of the Audited Financial Statement of the preceding financial years along with the list of nominees,” reads Article XVII related to duties, powers and functions of national associations of sports. The same regulations state that holding an election of office bearers without submitting the audited financial statements disqualifies the President, Secretary, and Treasurer from contesting (Article 5(v)). “A person shall be disqualified from being elected or otherwise to hold or continue to hold any paid or unpaid office or to hold any paid or unpaid post or to be a member of a Committee of any National Association of Sports or to be nominee of an affiliated club or organisation in a National Association of Sports, if he being a person who has held the post of President, Secretary or a Treasure of a National Association of Sports, which has failed or neglected to submit due Audited Financial Statement within the stipulated time period,” the Article 5(v)) reads. Some members allege the current administrators have shown little respect to the principles of good governance, transparency and accountability while hiding behind the immunity provided by the International Olympic Council (IOC). The NOC last had their elections in 2009. Even though fresh polls were due in July 2013, they were postponed after the IOC ruled that the regulations introduced by the Minister of Sports back then were intrusive and do not create the environment for an impartial election. NOC Chief Hemasiri Fernando has vowed to end his long reignas president. At 69, he intends not to stand for election but Maxwell de Silva wants to remain Secretary General for another term, a position which comes with world of opportunities and privileges. Meanwhile on Thursday, the NOC fixed a date for NOC elections—February 23—at the Special General Meeting (SGM) but the conduct of the poll depend solely on how soon they receive the audited accounts statements from the government auditors. The NOCSL had only sent their financial statements for four years (2013, 2014, 2015 and 2016) to Auditor General’s Department (AG’s) in August and September last year and that, too, without tabling them at an Executive Committee meeting. However, after the SGM, a section of the NOC membership wrote to the IOC seeking clarification on certain matters including the affiliations of new associations. “It is our understanding that the new federations, coming under Rules 28 1.2 & 28 2.1 of the IOC Charter, are now approved to be admitted as voting members at the next General assembly after meeting the stipulated criteria as specified in the NOC SL constitution, Article 7 clauses 1 & 2,” Rohan Fernando wrote to IOC’s Mr. Pere Miro, Director Relations. “However, these new federations have been made to understand by the SG of NOCSL that they are already elected members by virtue of submitting the application for membership, without having to meet the constitutional requirements. Your urgent advice in this regard is requested. Can the new federations such as Baseball/Softball, Karate, Skateboarding, which are in the programmes only of the Olympic Games Tokyo 2020, be given voting rights to elect the executive board of the NOCSL if admitted to membership, although they may not necessarily concern specific matters in relation to the Olympic Games?” Fernando has questioned. With their popularity apparently deteriorating, the NOCSL’s current administrators are pushing hard for the affiliations of new members to fulfill their election dreams. Recently, the NOCSL Secretary General handpicked a few members to constitute the Athletes’ Commission without following due procedure. 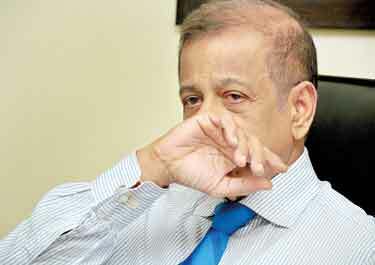 He got Niluka Karunaratne, a badminton player, as President of the Commission but this was later shot down by the IOC which asked him to follow proper guidelines in constituting the Commission. “The only amendment proposal (attached) that you have received to Article 5.1 (d) is not acceptable because it would go against Rule 28.1.3 of the Olympic Charter,” the IOC wrote in November. It proposed a more inclusive approach in the establishment of the Commission by not necessarily restricting membership to athletes with prior Olympic participation. They have also suggested three options. The membership on Thursday agreed to the third option which says two athletes’ representatives to the General Assembly shall comprise one athlete from amongst those who have taken part in at least one of the last three editions of the Olympic Games and another athlete who is practicing an Olympic Sport in the country. They have also sought advice on the admission of the Winter Sports Association of Sri Lanka as a NOC member—an association with due affiliations to its International Federation. “The Winter Sports Association of Sri Lanka, although affiliated to its International Federation, was not submitted by the NOCSL Administration for consideration, on the premise that they did not have proper affiliation to the appropriate International Federation, although the federation has been active and participated in winter sports in the recent past with funding received through the IOC Solidarity fund and the Government of Sri Lanka. We therefore wish to seek your kind clarification whether this decision by the NOCSL Administration is in order?” Fernando’s letter reads.